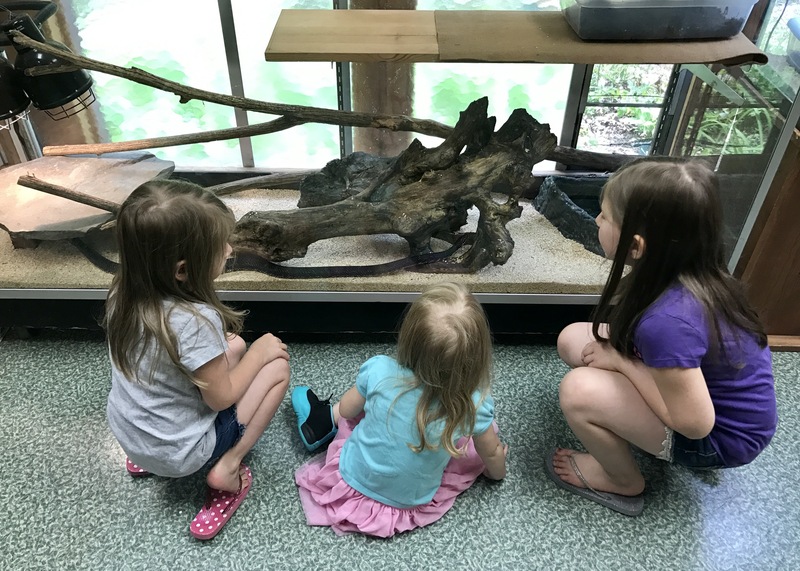 Opened in 1976, the Nature Center at Dobbs Memorial Park is quaint, charming, and packed with useful information for littles to explore. They have educational displays, a wildlife viewing area, and even a great involvement program! The first thing to draw our littles’ eyes while visiting the Nature Center at Dobbs Park was the tracking area. 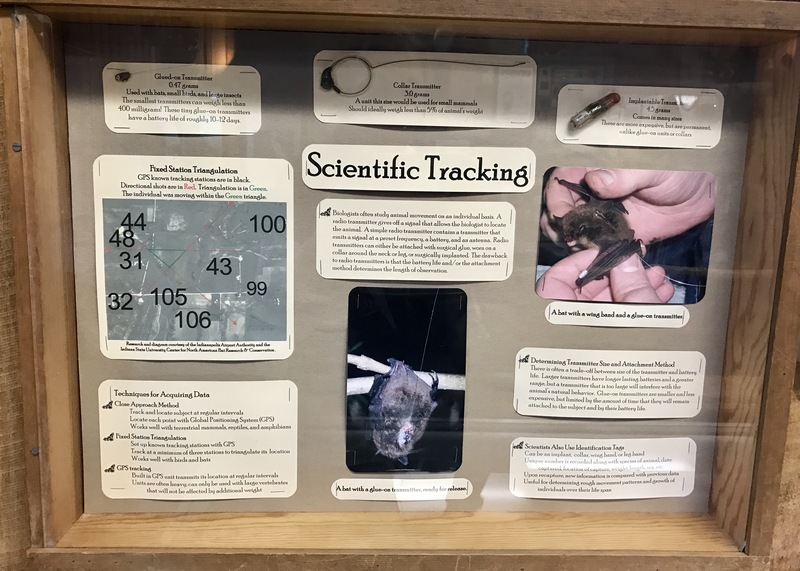 A special “Scientific Tracking” station setup where they learned about different types of transmitters and how biologists use the data collected to study creature life. They had a million questions, especially about the identifications tags, capture for tagging, and re-capture for comparison. It was great being able to answer their questions with all of the information at hand! The “Art of Tracking” case was just as popular while they ogled over the various skeletal remains on display. 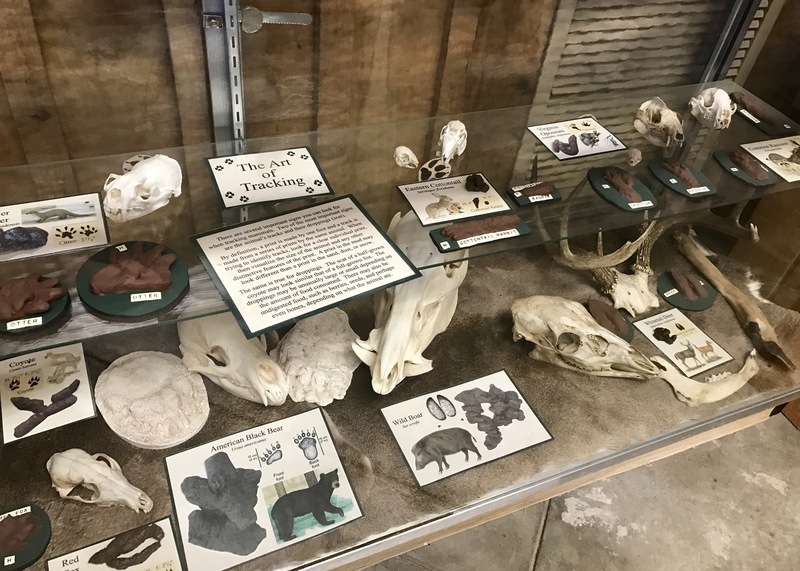 I loved that each skull or imprint was accompanied by a sample of what the wildlife would look like, a few small facts about them, and a sample of the footprints they would leave behind. The wild boar was the most intriguing for us as the girls could not believe just how big that “pig” would have to be for his skull to be so massive. According to them, all pigs should be little and cute. Life with little girls, guys! The next display our girls flocked to were the nests. This was probably my favorite part of the nature center as we recently found a robin’s nest with babies who never got to hatch. Knowing we were not disturbing a living nest, we had taken it down and studied the structure while having a small chat about why we should never disturb a mama bird’s nest. We knew how these babies had been abandoned and I do not belief our oldest two will ever forget the sadness of the situation. Please, teach your littles early to respect nature! 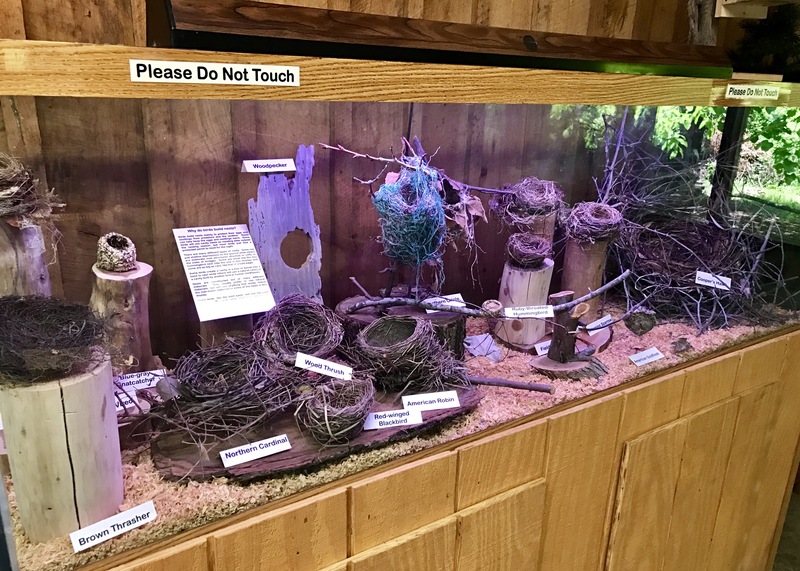 Our oldest was thrilled to recognize the robin’s nest in the display and proudly pointed it out. We talked again about why birds build nests and even Googled a few of the bird nests listed to see the difference in the appearance of the birds compared to their nests. Why would some need to be larger while others smaller? Why would some be held together with mud while others hung from a branch? It has definitely opened up the opportunity for a great homeschooling unit study! The wildlife viewing area was just as adorable as the littles stood watching a few chipmunks chase each other across the area. With a glassed in wall and a bench for relaxing, this area is perfect for indoor bird watching. The Nature Center at Dobbs Park puts out nuts and seeds each morning drawing in wildlife for viewing. They said there are regularly various birds, deer, and raccoons with groundhogs, foxes, owls, and hawks making their own random appearances. So much variety coming right up to you! Inside, the nature center also has their own full-time wildlife visitors on display. These included tadpoles who would soon become frogs, several species of turtles, and a few species of snakes. Of these, the eastern spiny softshell turtle was definitely the girls’ favorite. The turtle was swimming all around, neck fully extended, and they loved watching as it reached up high or straight ahead. We walked about how they can eat fish, earthworms, insects, and small invertebrates such as shrimp. They all agreed we now need a turtle that we can feed shrimp to. Haha, good luck, girls! 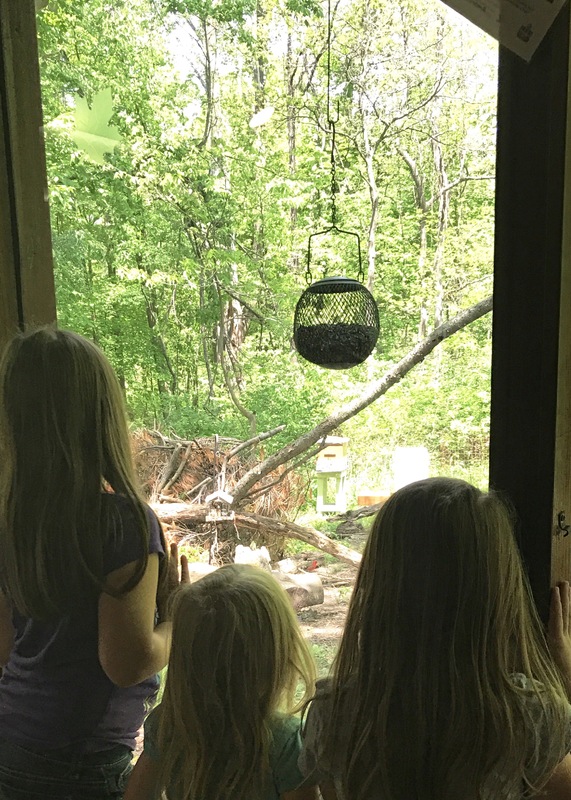 While staying near Terre Haute, we were unaware of the program the Nature Center at Dobbs Park offers but it seems like a great way for littles to give back to our world! Designed for kids 7 years or older, the Junior Naturalist Program focuses on teaching about conservation and wildlife basics. Those who sign up will be involved in nature and observation projects, various nature activities, and will be expected to volunteer for the park service. In return they get a great sense of accomplishment, pride for environment around them, and a patch and a certificate showing that they have been recognized as a Junior Naturalist. 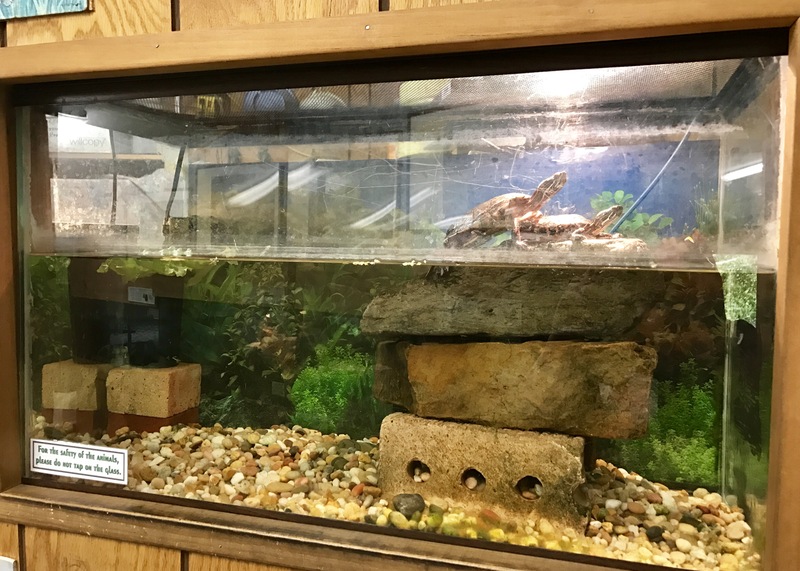 To find out more about the Junior Naturalist Program put on by the Nature Center at Dobbs Park, you can browse their website.